Our Michigan nursing home injury lawyers represent residents and patients who suffer injuries when dropped from Hoyer Lifts during transfers at the nursing home. 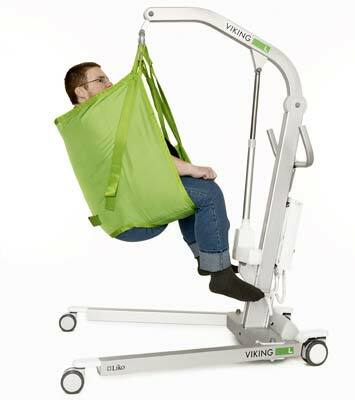 Hoyer Lifts are used to transfer patients from one surface to another when they are unable to do it themselves due to their medical conditions. These include transfers from a wheelchair to a bed, a chair to a wheelchair, and a wheelchair to a toilet. When a patient is dropped from a Hoyer lift, the patient and family should pursue a nursing home negligence lawsuit against the facility for the injuries suffered by the fall. These lawsuits often result in substantial settlements because of the serious nature of the injuries and the lengthy course of medical treatment and rehabilitation. In cases involving death, the family can file a wrongful death lawsuit. The statute of limitations for nursing home neglect lawsuits in Michigan is generally two years from the date of the incident. If you miss a deadline, your claim may be forever barred. To avoid missing a deadline, you should contact the Michigan Hoyer Lift injury lawyers at Buckfire & Buckfire, P.C. immediately. Call us now at (800) 606-1717 to speak with one of our experienced Michigan nursing home lawyers about your case. You can also fill out the GET HELP NOW box on the right of the page to provide us your case information. Our lawyers will start working on your case immediately, reviewing your entire medical chart to gather evidence necessary to prove and win your case. We charge no legal fees whatsover unless you receive a settlement in your case.